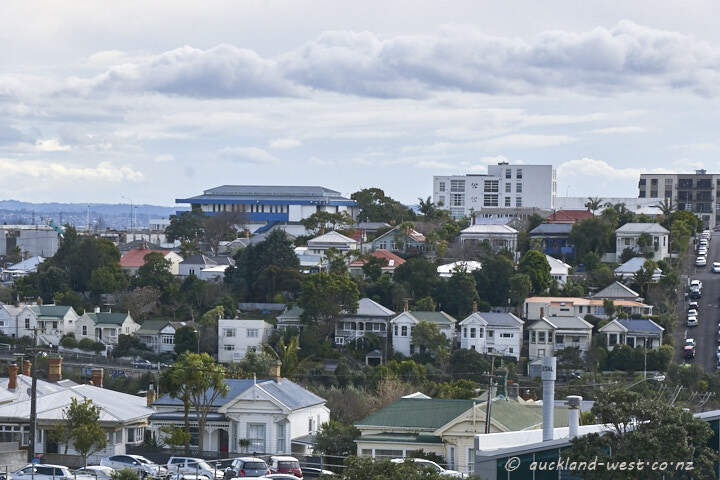 A couple of days ago I noticed this view of period houses: looking from the Dominion Road flyover (above New North Road) to the ridge of Great North Road. 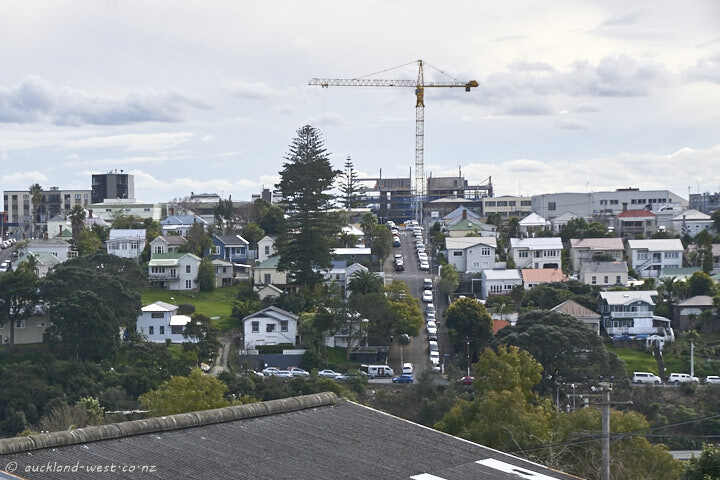 In the upper picture, Aitken Terrace houses in the foreground; behind them a steep dip down to Newton Gully (State Highway 16, these days). Then Keppel Street horizontally, and Potatau Street leads up to Great North Road (the big building with blue is the Samoan Methodist Community Hall in King Street). The second picture shows the continuation to the right, with Brisbane Street leading up to Great North Road.